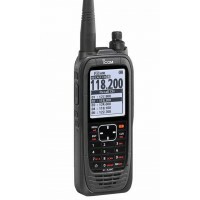 Icom is the premier provider of airband radios. Icom handheld airband radios provide every pilot with the safety and security to make your travels complete. Essential for power-loss situations, every instrument pilot should carry an airband handheld radio as a backup. Icom Airband handheld radios can also be used as the primary communication means when no panel mount radio is installed. 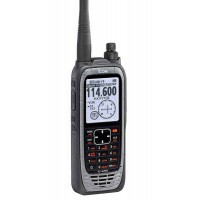 Invaluable for flight schools, Icom airband handheld radios are a pilot's best friend.